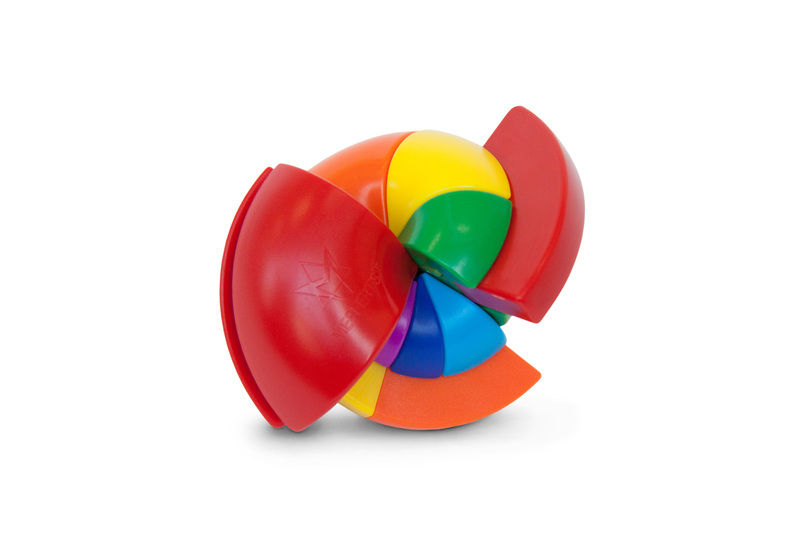 Rainbow Nautilus – Recent Toys Int. 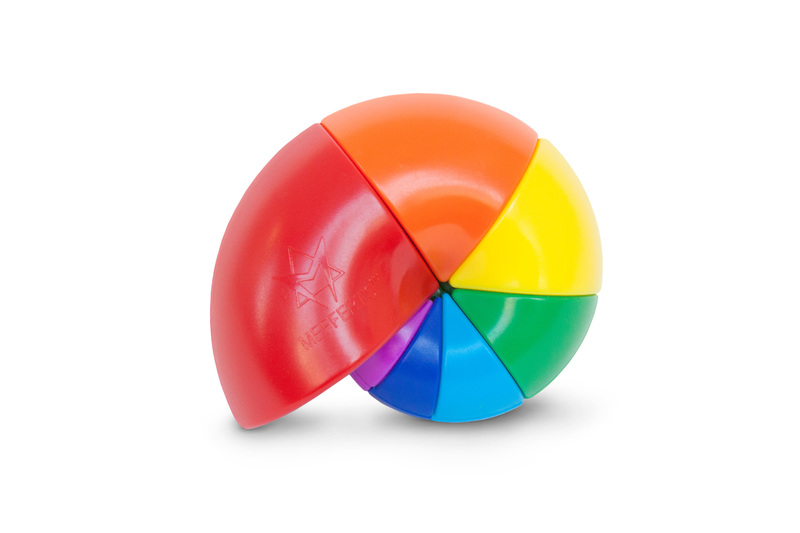 Each of the nautilus’ seven brightly colored parts consists of three panels. Puzzlers must arrange the panels so that each part contains the three same coloured panels. The rows turn smoothly in your hands, and the panels flow seamlessly from one to the next. Enjoy the challenge as you attempt to solve this wonderful brain teaser. 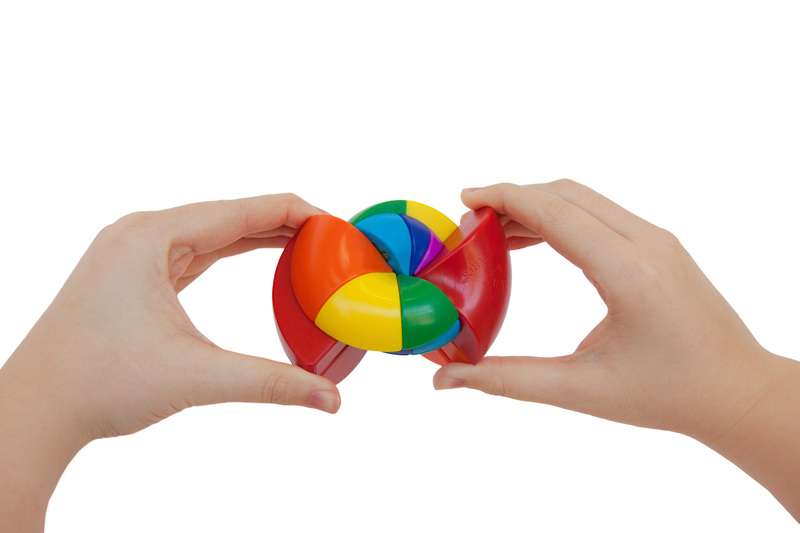 As you twist the puzzle, the colors on multiple sides will change. 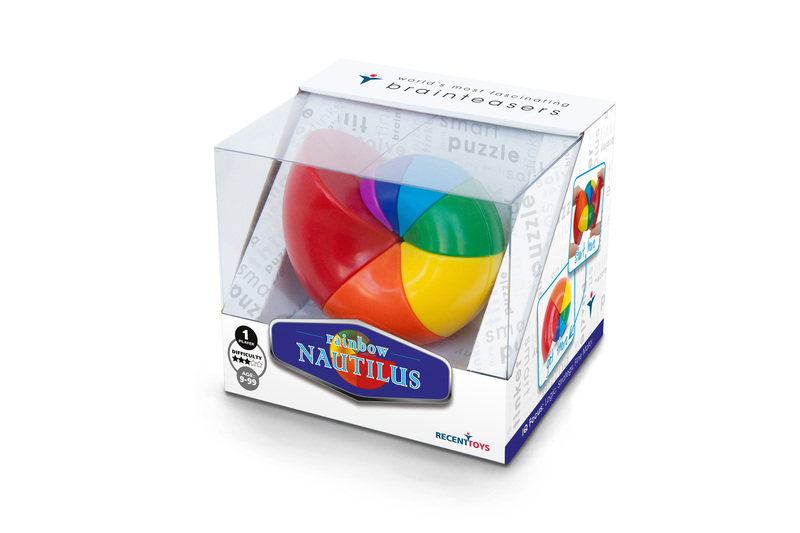 Solve by arranging the panels so that each part of the nautilus side contains a solid color.